Meeting new people might be routine to your pet. But if you have a pet suffering from anxiety, all of the new smells, sounds, and people can be stressful. If your pet is not used to being around young children, it can be uncharted territory for your pets when extended family brings young children to visit. After all, sometimes there is a good bit of tail-pulling and chasing involved when little kids come over. You can combat your pet’s anxiety while still enjoying time with your family and friends. These four natural tips will help your pet get into the holiday spirit without feeling anxious. It sounds too simple, doesn’t it? Routines are extremely important to dogs and cats. It can be annoying when you want to sleep in during the holidays but your dog wants their morning walk, or your cat expects their breakfast at a certain time. However, the more you stick to your routine, the more your pet will trust you and it can combat anxiety. When family comes over, stick to your walk routine. Have some of the family members who are unknown to your dog go on a walk with your dog at their usual time. Dogs and children are similar: routine is everything and when they know they will still be fed, walked, and loved at the same times, it keeps them calm. Your dogs and cats might be way of new people. After all, most PEOPLE are wary of new people! Imagine the stress of being thrown into a group of people you have never met, but most of those people want to start touching you and picking you up. It is unnerving, isn’t it? That is the reality for your dog, especially if you have a small dog who can be easily picked up. You can take some of the stress away from your pet by introducing new people slowly. If everyone is expected to arrive at your home around the same time, keep your pet in a quiet room alone where you can bring in guests one at a time. Try not to overwhelm your dog or cat if they are already nervous. It is also okay if you have a nervous pet not to allow people to meet them at all. It is just important that you do what is right for your individual dog or cat. Is there anything cuter than kids and dogs? Is there anything more adorable than a small child staring at a cat in wonder? Introducing children to your pets can be a lot of fun, but it can also be stressful for your pet. Especially when the child is not used to being around animals, or when your pet is not used to tiny humans. When you introduce your pet to children, supervise them to make sure that there is no aggression (from the animal or the child). If you see the child is pulling on the dog’s tail or pulling on them, show the child how to be gentle. If the child still can’t grasp how to be gentle, don’t allow them to play together anymore. The same goes for the pet – if they seem aggressive toward the child, remove them from the area immediately. You may fully trust your dog or cat, but when they are stressed they may behave differently. If nothing else, this will keep the child and the parents from having a negative experience with your pet. Sometimes, no matter how hard we try, our pets are STILL anxious. That is when I use CBD. CALM for cats and CALM for dogscan help keep your anxious pets relaxed when new people and new pets are being introduced to them. Your pet will not turn into a zombie. In fact, they will keep their spunky personality, but will just want to take a nap and stay relaxed. 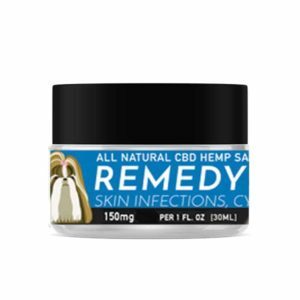 In addition, CBD can help keep dogs from showing aggression toward each other by keeping them mellow. This can be helpful when you introduce new dogs to the pack for the holidays. Remember: if your pet has anxiety on a regular day, the increase in new people and the excitement can make your pet more nervous. Try to put yourself in their shoes, and give them the relief they need. 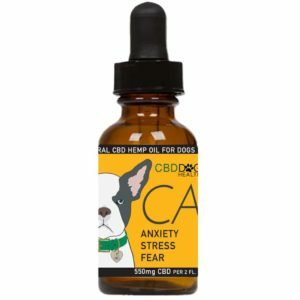 To learn more about CBD and keeping your pet happy and safe this holiday season, visit www.cbddoghealth.com or www.angelaardolino.com.